Although minimalist themes and neutral colours are continuing to dominate in the interior design world at the moment, we're loving a trend which is the complete opposite – retro 1950s! The 50s was all about the age of the consumer, the exciting post-war boom, and bold, primary colours. 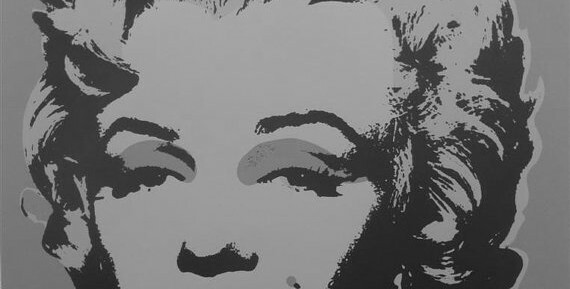 We're all aware of the iconic Pop Art images of the 50s, ranging from Warhol's Marilyn Monroe print to Roy Lichtenstein's Drowning Girl. In our opinion, the exciting and bold connotations associated with these images mean that there couldn't be a better way of decorating your home than taking inspiration from this remarkable decade and art movement. Let's face it, neutral and minimalist interiors are everywhere at the moment, and while they look great, they don't have a strong wow factor. If you're looking for something different and fun for your home, then following the influence of the 50s is the perfect way of making your interior stand out. At Real Stone and Tile, we have some perfect designs which will give your home a striking new look. 1950s floors are renowned for black and white chequerboard tiles, but we love this twist on the old classic. Our Zig Zag tiles would be a perfect addition to any room that you're planning on refurbishing in a 50s style. The black and white colours mean these tiles still have an element of a classic chequerboard, yet combined with a mixture of other retro patterns, they manage to have a fresh, modern feel to them. Our 'Andy' tile is more like a work of art than something you'd normally find in someone's kitchen or bathroom. As you can see, this stunning mosaic tile was inspired by arguably the most iconic Pop Artist of the 1950s, Andy Warhol. It's bright, bold, and most importantly, fun, and will add a real talking point to your home! We think it would look great behind the stove in the kitchen, and coupled with some bright cupboards and a vintage fridge, you'll have the perfect 50s kitchen which will be the envy of everyone who pops round for a brew. Alternatively, if you fancied taking inspiration from another seminal decade, you could try another of our vintage inspired wall tiles, 'Artisan'. This striking tile has more of a 60s feel than the other examples in this blog post, but nevertheless it would be a perfect feature if you wanted your chosen room to have a retro vibe. So there you have you have it, a few ways to transform your home into that retro haven you've always dreamt of. Thank goodness we can keep our phones, laptops and modern heating though – we don't want those turning retro!